At J&P Cycles we are passionate about living a life on two wheels. Starting as a family built business, J&P Cycles is committed to keeping the world on two wheels. We believe that who you buy from is just as important as what you buy. That’s why we strive to be the best company of aftermarket parts and accessories for your motorcycle. From the best catalogs in the industry to the best selection of aftermarket parts and accessories we are committed to helping you figure out what’s next. Our technical experts are available to answer your questions and get you the parts you need the first time. And, if you can’t find a part, our experienced sales staff will find it for you. J&P Cycles has grown tremendously since 1979, with the support and loyalty of our customers. Our founder, John Parham was bitten by the motorcycle bug early in his life. His enthusiasm laid the foundation for what J&P Cycles is today. Together, John and his wife Jill Parham grew J&P Cycles from one employee to over 300. Today, J&P Cycles is led by John and Jill’s son Zach Parham. As President of J&P Cycles, Zach continues the legacy his father left behind to keep the world on two wheels. Learn more about our founder John Parham here. From coast-to-coast, J&P Cycles also attends over a dozen motorcycle rallies and events every year. You can find the J&P Cycles mobile showroom at many of the biggest motorcycle events in America. Stocked full of parts and accessories with friendly staff on hand to help you find what you need. Stop by and pick up a catalog at your next rally. See our full schedule here. 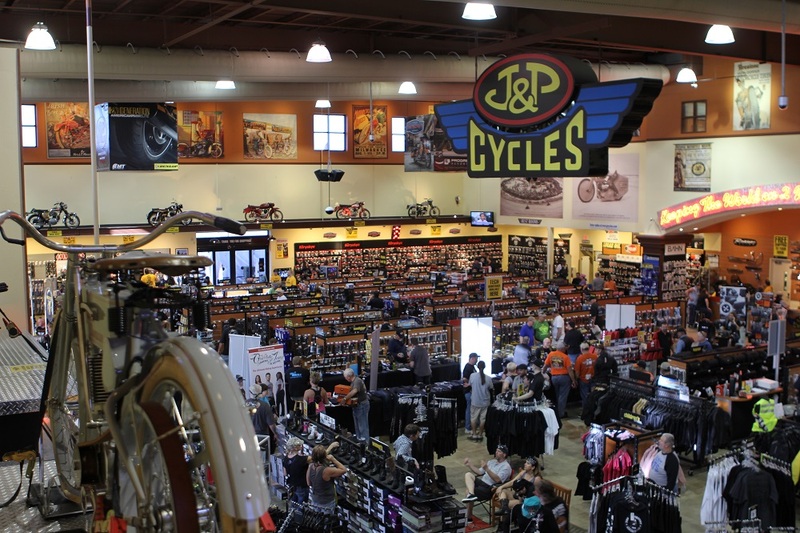 Make J&P Cycles a destination with three retail locations in Anamosa, Daytona, and Sturgis. Need the right parts on time? Our warehouse located in Kentucky ensures that our customers get their parts fast and right the first time. 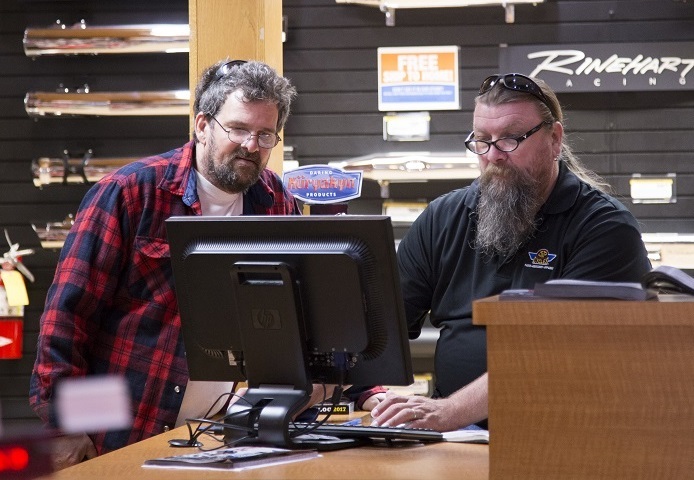 J&P Cycles continues its ongoing mission of searching out new technologies, new motorcycle products, and new information for the motorcycling community. Making you #1, has made us #1. J&P Cycles is proud to support the National Motorcycle Museum in Anamosa, Iowa, the best motorcycle museum west of the Mississippi. Open to the public seven days a week, year around, visitors to the National Motorcycle Museum will admire over 400 great motorcycles, plus motorcycle memorabilia, toys, pedal cars, advertising art, bicycles and even a restored Shell Motor Oil filling station from about 1920. 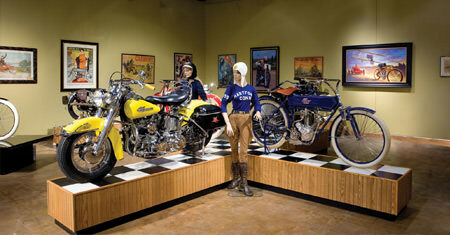 Come visit and take a trip back in time, or plan your visit to the National Motorcycle Museum.